Whenever a new drugstore concealer is launched, it immediately piques my interest. 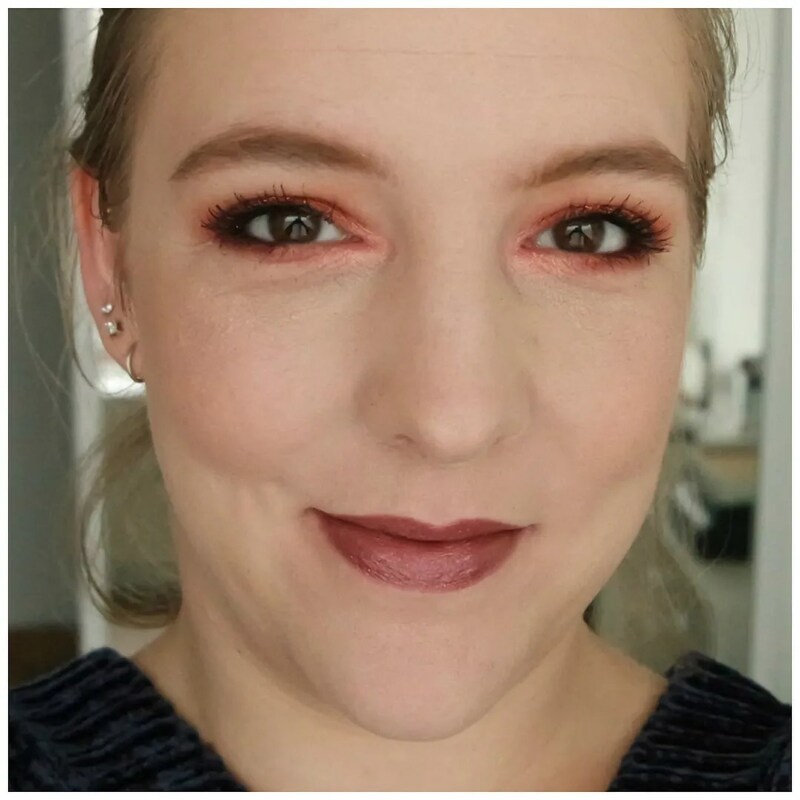 The Lasting Finish line by Rimmel is a classic to top things off and I was curious when they launched their Breathable foundation and concealer last year. I already reviewed the Breathable foundation. Today, I am reviewing the accompanying concealer. The Breathable foundation wasn’t my favorite foundation on the planet, but it wasn’t bad either. What was my main issue with it was the shade. I bought the lightest shade available to me and, as usual, it was too dark. That, in the end, made me not use the foundation, however if I were to find it in a lighter shade, I would definitely be interested in having it on had. So I had good hopes for the concealer. It retails for €9.99 and is available in four different shades. Where the foundation, with its doe foot applictor, really had some great packaging, this concealer sadly cannot match that excellent packaging. I like the squeezy tube. I like that part of the tube is clear so you can see the shade. What I don’t like? The sponge applicator. When I first saw this in store, I had expected this sponge applicator to be like the Maybelline Age Rewind. But is not. Where the Maybelline concealer has a soft sponge, this sponge is rock hard which makes it very uncomfortable when applying the concealer. Secondly, the sponge has a hole in it through with the concealer is dispensed. While that seems like a good idea, too much product is first soaked up by the sponge before it comes out and as it is not evenly dispensed through the sponge but it still comes out in a stream, I think this applicator causes you to waste a lot of product. 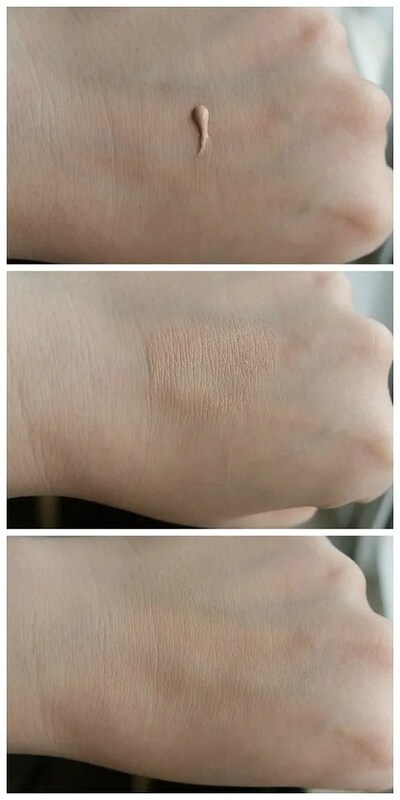 You can clearly see the texture of the concealer when it is dispensed onto your hand. If the sponge had any use with applying the product, it wouldn’t come out as as a neat blob. So the sponge is there, but it doesn’t do anything. When I blended this into the skin it nearly disappeared and had little coverage. The shade, which is the lightest again, seems to be too dark on the back of my hand. As you can see in this picture I had difficulty applying the foundation. 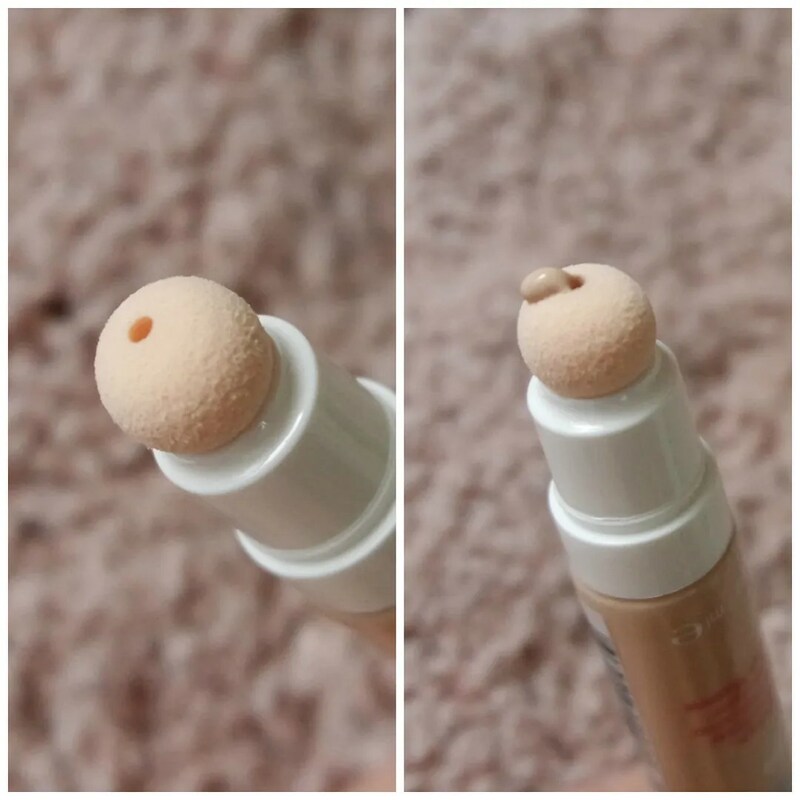 Because the sponge soaks up the product, but doesn’t help with spreading or applying the product, all you can do is dab on the concealer and hope for the best. You will still need your fingers, brush or makeup sponge to blend the product into the skin. The sponge on the concealer is too firm to be useful when trying to blend the product into the skin. The product itself does blend eventually, but it does emphasize dryness and doesn’t cover all that much. 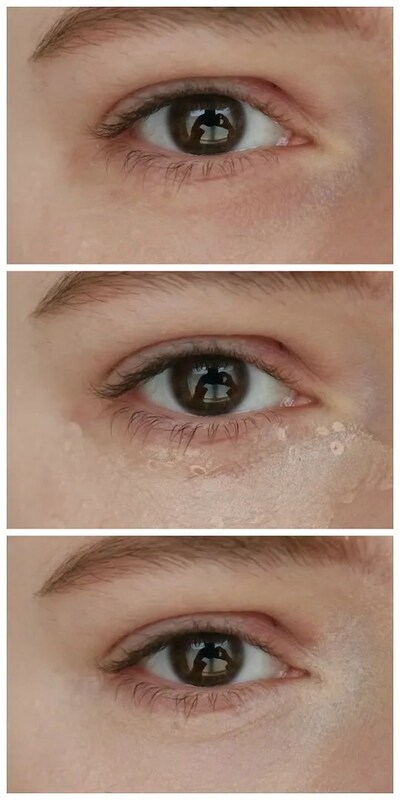 I don’t mind a lightweight texture for my concealer, but I do want it to cover up my dark circles and I feel this doesn’t do that very well. The blue tone still shines through and I don’t like what this looks like once I set it with powder. It looks dry and cakey quite quickly. 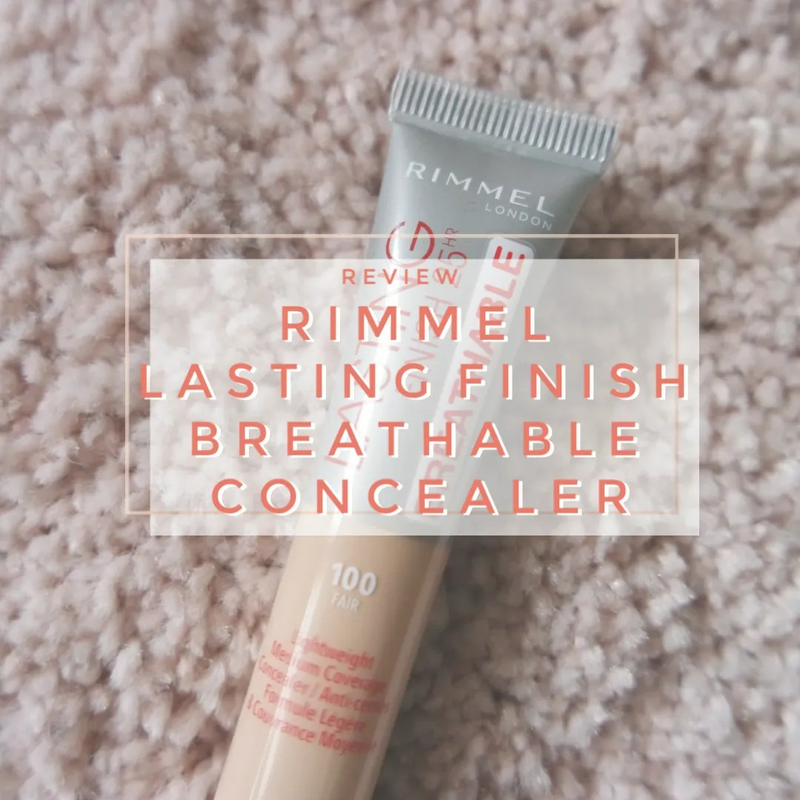 The Rimmel Lasting Finish Breathable concealer was one I really wanted to love, but it didn’t work for me. 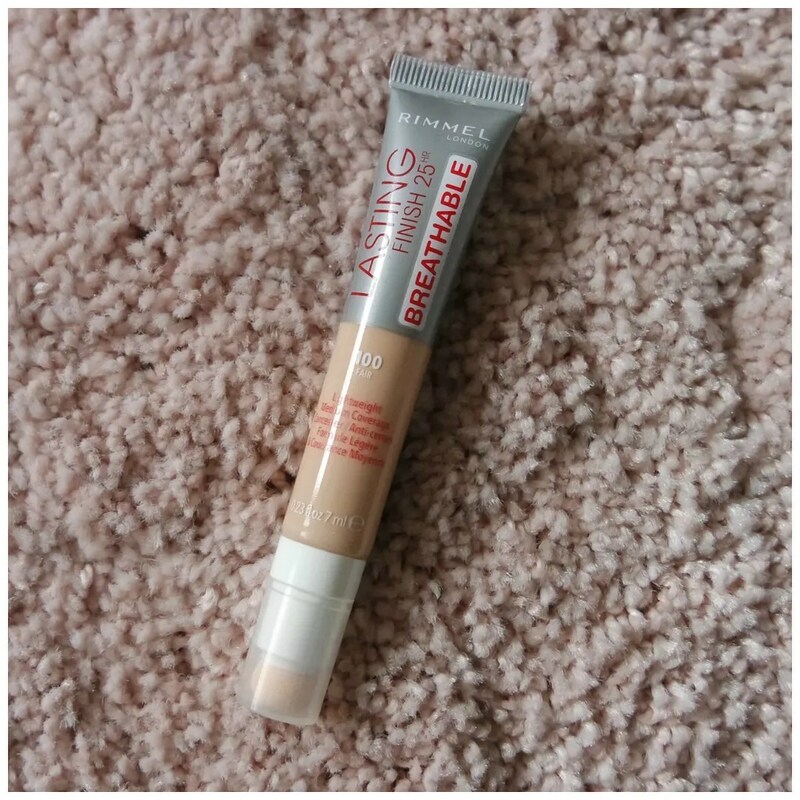 It was too cumbersome to use, the concealer does not have the coverage I like and the texture is not ideal for me either. If you love super natural, sheer concealers, then this may still be a product that might interest you. However, if you want a concealer to conceal redness, darkness and patches, this is not that product I’m afraid. This is not a product that is high on my list of makeup recommendations. What drugstore concealer is one that you love?